For me when I was living in Madrid, this was one of the things that really made me feel comfort. Comfort in knowing my way around the city based on the metro layout, a variety of buses and their stops and destinations, and knowing that for the majority of the time I could make my way around such a beautiful city and know my way back home. Originally I wanted this post to be titled something like “How to Travel Around Madrid on Public Transport like a Pro” but then I thought that titled seemed a little too stretched. I realize that it isn’t knowing the information that makes someone a pro, but the frequency in this case that someone uses the public transportation system, and how someone gains their own knowledge of how to use it. So with that said, consider this post and it’s content as your base 🙂 Below are the different forms of transportation as well as transportation tickets/cards that will definitely help jump start your madrileño adventures! This translates into your standard one-way ticket that you can use from the point of purchase, to the stop that you want to get off at. Simple. The costs will vary, starting at €1,50 and going up to €3,00. 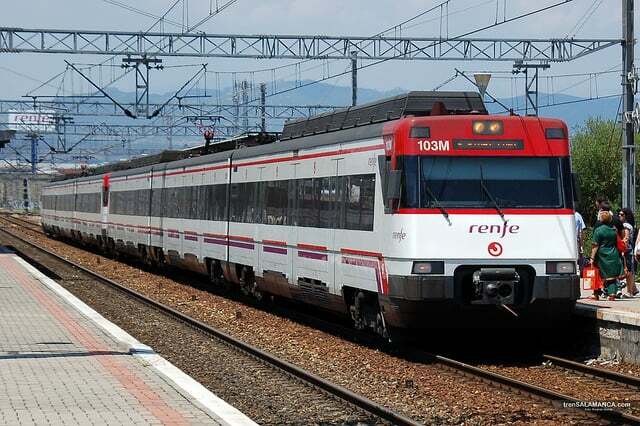 The prices vary depending on the zone you are travelling to/from as well as the type of public transport you are taking – metro, cercanias, bus, etc. 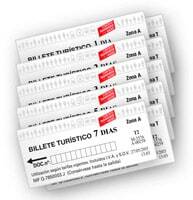 This would be your 10 ride ticket, meaning that you can opt for this choice if you are going to be in Madrid for a few days, and you know you will be using the public transport more than a few times. The prices range in between €12,20 to €18,30, again depending on the zone and the type of public transport you are taking. Also, they have the combinado option, meaning that you can choose to buy the 10 ride flexible ticket that allows you to use on the metro, bus, and train. That is the €18,30 ticket, but if you are going to be using the public transport to get around the city, it wouldn’t be such a bad thing to consider. My sister bought the €12,20 ticket to use on the metro only when she came to visit me, and it definitely made her stay a little more comfortable because she could just swipe by straight onto the train platform without having to wait in line each time to buy a ticket, or worrying over always having coins to buy her ticket. The tourist card is available for purchase in the airport metro stop (T1, T2, T3), and this would be another good option for people who will be in Madrid for a few days and are planning on taking the metro from the airport to the city center. 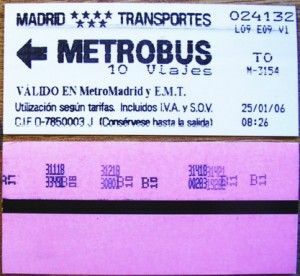 Within the city center of Madrid, this tourist ticket is available for 1 day’s worth of using the public transport which costs €8,40. They have the same ticket that you can use for up to 7 days, which costs €35,40. The tickets become valid from the first use, and they expire at 5:00am on the last day that they are valid. 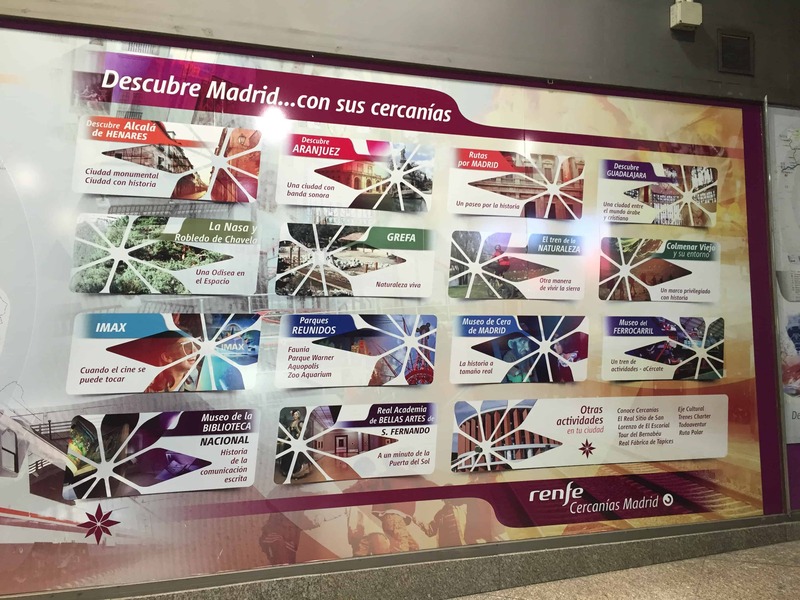 With these tickets, whether it’s the 1 day €8,40 or the 7 day ticket, you are able to use the ticket all throughout the metro within zone A (the city center of Madrid), the buses, cercanias trains, and metro ligero. Some specifications do exists, so I would encourage anyone interested in this ticket to be aware of the different types of tourist cards available, their zones, and certain restrictions on different transportation methods. Again, this could be a good option if you know that you will be going on day trips around Madrid and going to a variety of stops within Madrid; the metro will help you get to everything as there are stops everywhere within the city. Abono anual (annual transit card) in which you pay one lump sum for the whole year worth of transit. Essentially the card I will be focusing on will be the 30 day abono joven (25 and younger, 30 day transit card) which is a public transportation card that is available to locals and expats living in Madrid. 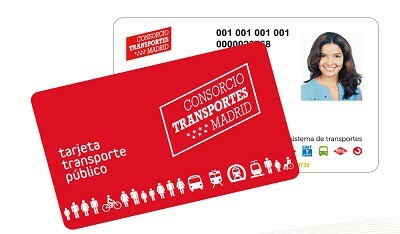 This card allows people aged 25 or younger to travel throughout the city of Madrid limitlessly as well as good to use for all forms of transport within the community of Madrid: metro, metro ligero, EMT/Interurbano buses, cercanias train. This card may not be available to tourists, but if you will be teaching abroad or maybe even studying abroad in Madrid, as long as you have a mailing address and a passport or NIE number you can apply for an abono. This card is amazing, and I cannot recommend it enough as it literally gives you access to ALL transport available in Madrid, unlimited. I lived in a small, suburban town half an hour outside of the city center, however since it’s still part of the community of Madrid I was still able to use my 30 day abono card just as if I lived within the city limits. You can either apply online and wait up to a month to receive the card in the mail, or you can make an appointment at a metro stop office and apply in person to get your card on the spot. I’m clearly a fan when I say that this card was everything – for the price of €20 every 30 days, you have no limit on public transport. By the way, this card got me to Toledo for free even though Toledo is not within the community of Madrid! Seriously, this card is like having the key to Madrid, and then some! If you can read in Spanish, you can read more about it and learn how to obtain the abono card straight from the website by clicking here. I have to say also that having at my disposal a map of the layout of the metro, a live feed of the public transport arrivals/departures ands stops as well as Google maps, made it even easier to get around the city. 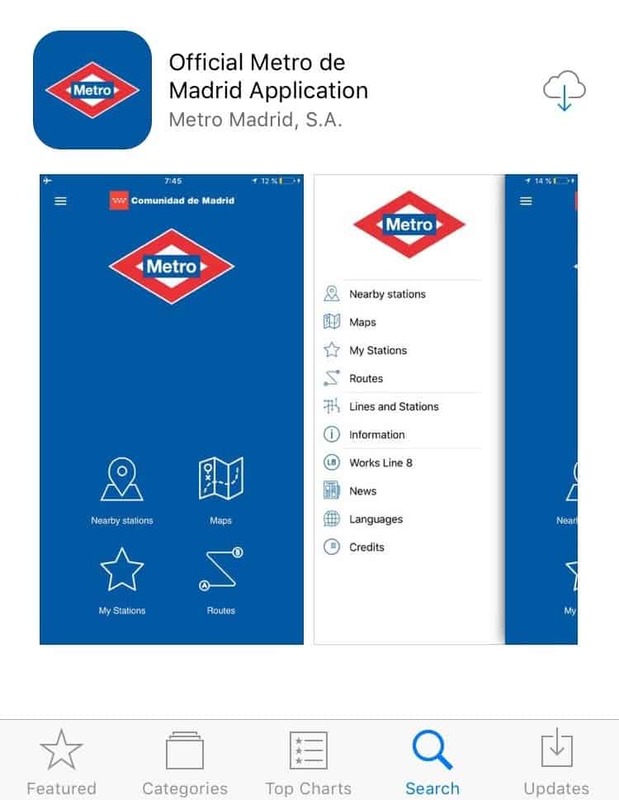 Below I want to share my must have apps for traveling around Madrid via public transit that I know made my life a WHOLE lot easier and smoother. These apps are readily available for FREE at the app store. Search them up as they appear below. 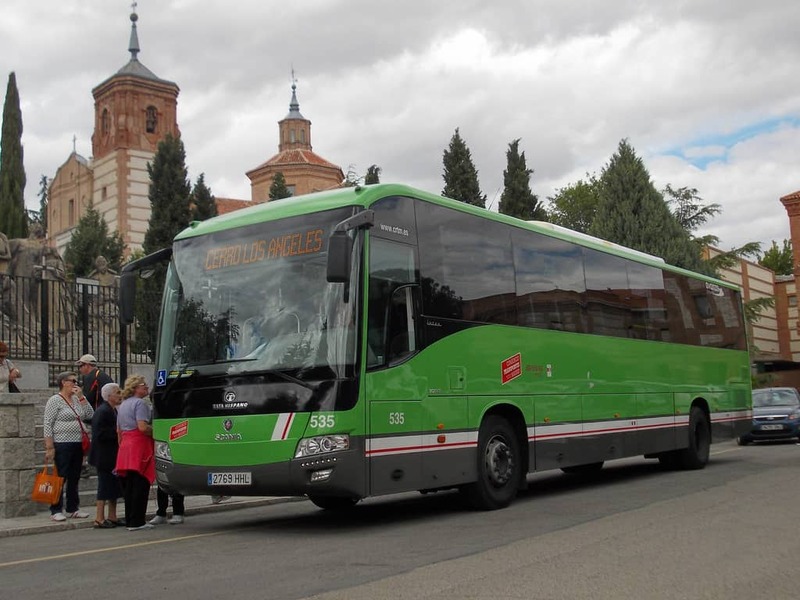 Consorcio Transportes Madrid – Live feed of different transportation times in and around Madrid – Wifi required. 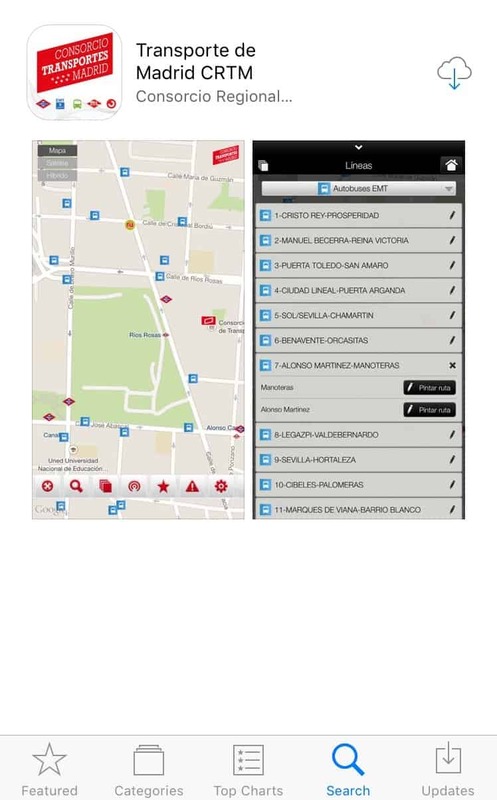 This app has so much to offer: real time arrivals and departures for all transportation, it located which stop was the closest to you, as well as other tools that made understanding and following the transportation in Madrid a breeze! 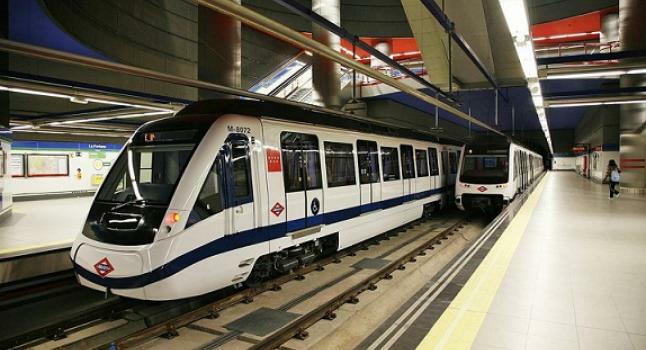 Official Metro de Madrid Application (Metro) – Layout of Metro – no wifi required! This app was so useful. No wifi was required, so it meant that I had the metro map dowloaded and at my disposal whenever I needed it! I was able to see which line stopped where, how many stops from where I was to where I wanted to go, as well as connections! It’s the best. 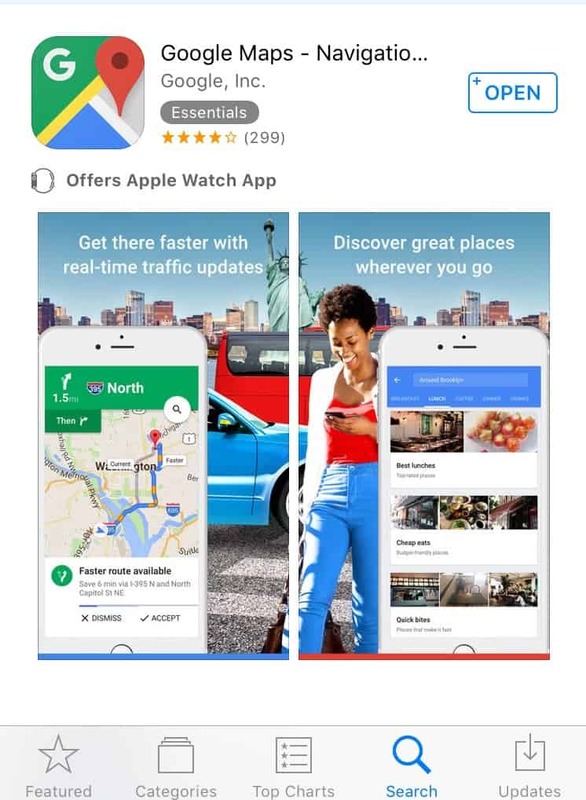 Google Maps – Map application – wifi required unless you download a certain map of an area. Again, I can’t recommend these enough! Let me know what you guys think! 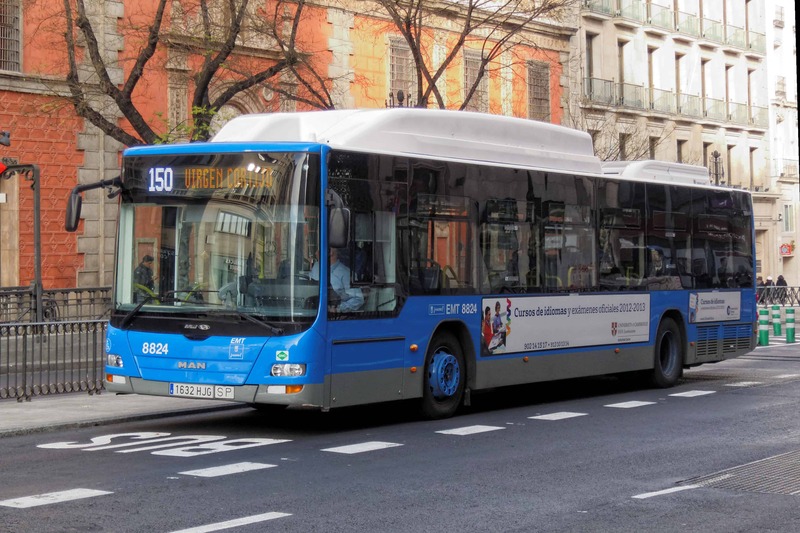 What has been your experience using the public transit in Madrid? Leave a comment if you agree or if you think I missed something in the comments below! Personally, I think the Madrileños have it down when it comes to establishing an easy to follow and simple transportation and metro system in specific. Everything is well connected, easy to move around and easy to find either a metro or bus stop where ever you may find yourself. Especially with the tools and some beginning facts, you got this! Hmm….ice breakers are always a good way to loosen up the atmosphere in a classroom I would say. Have you tried those?